University of Canberra deputy director, Rebecca Armstrong, told CMO the tertiary education provider began rolling out chatbots in the past year to assist students as well as staff to quickly perform repetitive tasks and answer commonly asked questions. These initial efforts included the launch of ‘Bruce’ in January to answer day-to-day staff FAQs such as leave and the service desk; and ‘Lucy’ in February to coincide with open day and to answer common questions from students via the university’s ‘AskUC’ knowledge base. These chatbots have answered more than 2000 queries since going live, proof of their usefulness and in taking repetitive questions off the service desk and student centre, Armstrong said. However, the underlying Microsoft framework proved limited in terms of content authority and rapid bot development at a user interface level. Enter workplace experience technology vendor, LiveTiles. University of Canberra has signed on to deploy the vendor’s chatbot technology over coming months with the intention of having four bots live by Q3, 2019. These include a new-and-improved open day bot to give students a more interactive way to find answers to their questions; a refreshed and more individualised, co-created bot as a personal assistant for staff to learn about and manage the more mundane tasks; and a new results bot that will help students better interpret and navigate their ATAR scores. In addition, three requests have been made by the marketing team to utilise bots. Key to the LiveTiles platform is the ability to rapidly deploy new bots with decentralise content creation while still maintaining a central management platform. “LiveTiles has put a user interface on top, which means once we build an open day bot for example, those open day staff can manage the bot themselves. If they need to add in another question students are commonly asking on the day, they can just add that in then and there,” Armstrong explained. It’s also about having co-created bots. Armstrong said it hoped to create staff bots like Siri or Alexa, which act as individualised assistants to its 800-strong workforce. The University of Canberra has had its sights on LiveTiles for some time, working with the US-based vendor informally over the past four years while it built out its chatbot offering. This included participating in user groups and helping the team take advantage of the Microsoft bot framework as it worked up to a commercial level of maturity. Two months ago, Armstrong went to the university’s capital planning committee to ask for the investment to take-up the technology. “Given how happy everyone is with Bruce and Lucy, I explained here how we can evolve this again,” she said. 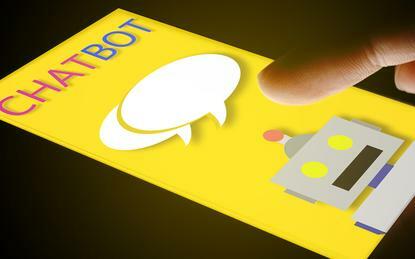 The University of Canberra’s chatbot technology deployment is part of a wider digital strategy aimed at improving communications and collaboration between staff and students. This program of work, which kicked off about three years ago, has already seen the university go live with the Microsoft Dynamics CRM platform. Most recently, it’s also led to the decision to purchase a number of the Adobe Experience Cloud offerings – Audience Manager, Target, Assets and Analytics – in a bid to truly personalise the student experience, Armstrong said. The Adobe platforms are due to go live in June 2019. “Personalisation is underpinning everything we are doing, including the bots,” Armstrong said. “A question we ask ourselves each day is: How do we make students be more successful? We can do that with these bots. Armstrong pointed to Gartner predictions that 20 per cent of citizens will use AI assistants to help them with an array of everyday operational tasks by 2020. She also noted the analyst firm expects 80 per cent of higher education providers will be forced to execute on a personalised strategy in coming years or risk irrelevance. “Being small and agile, we’re bearing more risk compared to our counterparts in the group of eight [coalition of Australian universities], and we need to work hard on personalisation to engage students, and to ensure they can use digital technology to make sure they’re successful in every single way,” Armstrong added. The chatbot and Adobe Experience Cloud rollout efforts are being led by Armstrong and the university’s project and programs management team. Isobar is assisting an internal team to deploy the Adobe platforms, and LiveTiles staff are working on all chatbot aspects including vision and design. For its part, LiveTiles senior VP for Asia-Pacific, Owen Brandt, said higher education was a fast-growing sector for the business. “We are excited about how our AI and bot design capabilities are being adopted by the University of Canberra, expanding beyond the traditional intranets into the intelligent workplace – a comprehensive suite of abilities that combine user interface design, bot creation and intelligent data analytics,” he commented.